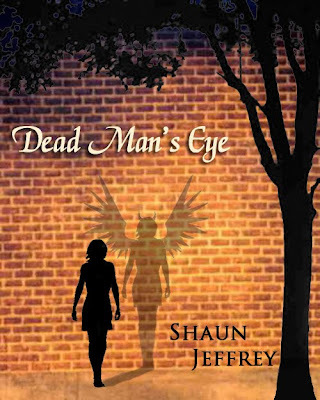 Also, the first reviews have started appearing for Dead Man’s Eye. I appreciate the time people have taken to read and review my work very much. Book bloggers are the best. Blighted by an eye disease, Joanna Raines undergoes a corneal transplant operation to stop her going blind. The procedure is successful, but in the weeks that follow she begins to see dark coronas surrounding certain people. By turns fearful that something has gone wrong and worried that she’s going crazy, Joanna searches for an answer to the phenomena. Joanna just has to convince everyone else before it’s too late. 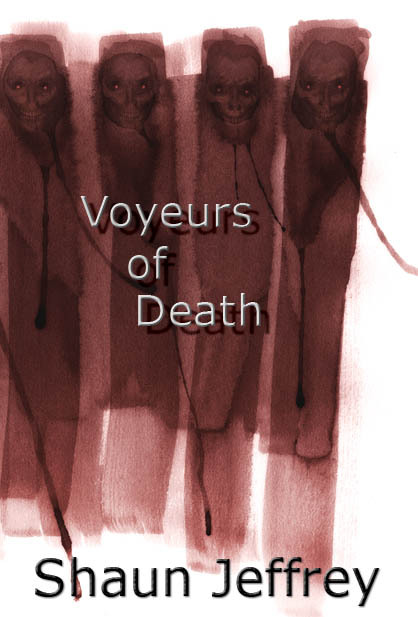 Joanna Raines looked at the world through a dead man’s eyes. Through one eye to be precise. Things were still a little blurry, which was why she felt sure her transplant was being rejected – why else would it feel scratchy and appear red? She shuddered at the thought of a world in darkness if the graft failed, especially now that she could see things a little clearer. The checklist she’d been handed after the operation mentioned various symptoms to watch out for, two of which she had, which was why she’d made the appointment with the doctor. The musical notes of the tannoy interrupted her thoughts and she listened to the disembodied voice announcing that the train would be twenty minutes late. She peered at her watch, squinting to combat the double vision so she could make out the position of the hands. Prepared for such an event, she had decided to catch the earlier train. Her hospital appointment wasn’t for another hour and a half, so she still had plenty of time to get there. A chill wind blew through the Victorian station, carrying with it the pungent scent of cleaning fluid that tickled her nose and made her eyes water. Further along the platform, she saw a yellow triangular board, the figure on which she guessed indicated cleaning in progress. She resisted rubbing at her replaced cornea, wary of dislodging it or upsetting the stitches, which although virtually invisible, made her feel a little like Frankenstein’s monster. Joanna stared up at the lichen coated glass roof overhead. Wan light seeped through, making her feel like she was underneath a pond. Through her new cornea, she saw blurred beams of light arcing down, like biblical rays; through her uncorrected eye, it felt like trying to stare through a dusty curtain, a common symptom of Fuchs’ corneal dystrophy. At the sound of approaching footsteps, Joanna looked up, squinting. Despite her blurred vision, she could see a large man wearing a red vest top, and as he drew close, Joanna ducked her head, letting her black hair veil her features. “Damn trains! Always late when you need to be somewhere at a certain time,” the man said as he sat beside her. Despite the pressure behind her eyeball caused by leaning forwards, Joanna didn’t look up. “It shouldn’t be long,” she said, the words coming out barely more than a whisper, intensifying her insecurity. She gazed at her feet, all four of them. Concentrated on trying to correct the view, closing one eye at a time, but it didn’t help, and the replaced cornea actually stung and she started to feel a little giddy and sick. “You like a stick of gum?” the man asked. Joanna nodded. She knew all about dreams. Had followed hers through college and university where she gained a BA (Hons) in photography before setting up as a freelance photographer, specialising in portraits; then her eyesight started to fail, and the dream faded along with her vision. Joanna heard the man tapping his foot on the ground and drumming his hands on his thighs. She could almost feel the impatience oozing out of him. Feeling a little dizzy, she folded her arms across her chest and closed her eyes to rest her sight, but the irritation from her replaced cornea caused tears to form. The darkness behind her lids increased her fears about going blind. She couldn’t imagine a world of perpetual darkness. Someone walked past, pulling something that rattled across the stone floor. She heard a couple of children arguing and an irate mother berating them. She also heard traffic outside and the beat of wings as a bird, probably a pigeon, flew through the station. Then she detected the sound of heavy machinery droning in the distance like a mechanical bee. The whistle of the wind blowing along the platform. And above it all, the man at her side beating out his impatient rhythm like a war beat. She never realised before how much extraneous noise the ears picked up that the consciousness ignored. The sudden musical note of the tannoy interrupted her thoughts and the announcer mumbled out an almost incoherent apology for the lateness of the train, and that there was a change, and it would now be arriving at platform two any minute. “Typical,” the man beside her said as he stood and hurried away to the platform. Joanna opened her eyes, the tears obscuring her sight even more. She blinked rapidly, aggravating the stinging sensation that felt as though she had a lash stuck on her eyeball. Despite wanting to rub it, she closed her eye and pressed the palm of her hand against the lid to soothe the pain. She looked up at the sound of the approaching train, the engine’s single headlight like a Cyclopean eye. Through her Fuchs’ eye, she saw the light as a bright ball with needle-like rays radiating out. Through the transplant, she saw at least three bright lights. When she looked with both eyes, the effect combined to create a distorted image. Joanna gathered her belongings and made to stand when she heard a shout and what sounded like a hollow drum roll. She looked across the platform and saw a flurry of movement on the stairs leading down to platform two. People jumped aside, and she squinted to combat her distorted vision, recognising what appeared to be a suitcase tumbling down the steps. The waiting passengers scattered out of the way of the falling luggage, knocking into each other in their haste. A woman with a halo of blonde hair stepped aside, crashing into the man beside her. He grimaced and reared back, inadvertently knocking into an old woman who dropped her drink. The plastic beverage container exploded like a grenade, splattering hot liquid over the legs of a teenage girl wearing a miniskirt. She squealed and flailed her arms in the air, punching the young man next to her in the nose, and causing him to step into the path of the bodybuilder that had been sitting next to Joanna. Unable to tear her gaze away, Joanna watched in horror as the man stumbled and then fell over the edge onto the tracks. Someone screamed. The engine driver blew his horn, the hellish sound almost deafening in the confines of the station. Although it wasn’t going fast, the train wheels squealed against the rails. The man tried to roll out of the way, but he didn’t move fast enough. With sickening precision, the front wheel rolled across his arm. The train stopped, and a strange silence descended. Blood gushed from the stump where the man’s arm had been. Joanna froze, unable to believe what she had just seen. Bile rose in her throat and she fought not to be sick. She caught sight of movement beside the man and turned her head. Saw what looked like a strange shadow, a black ethereal mass that surged towards the fallen figure and flowed into his body through the ragged stump of the missing limb. Thinking she’d imagined it, that she was seeing anomalous floaters, Joanna blinked, aggravating the irritating pain from her cornea. She narrowed her eyes, straining to make sense of what she had just seen. A second later the man moved, his legs twitching. Then he sat up and grabbed the severed limb. Despite the distance, Joanna thought the sliced end looked like a cut of meat marbled with fat and muscle. But strangest of all was that although the man’s arm had been severed, he had what appeared to be a black limb protruding from the shoulder. The man started to stand, and a strange black shadow surrounded him like a dark phosphorous corona. The nimbus was so black, it looked like an absolute absence of light, as though the man had been carved out of his surroundings. She shuddered. Maybe there was something even worse than a world of darkness. Congrats on the novella Shaun, sounds intriguing. A new short story collection as well as a recently released novella? You're certainly not one to mess about; I look forward to reading it :). So where do you think stories come from?